Brannock Health Care Plan provides our clients with the opportunity to spread the cost of keeping our pets fit and healthy. The plan covers the cost of annual vaccination and two complete health checks as well as worming and preventative flea treatments for 1 year. There are also additional benefits on neutering, dentals etc. Payment is made by interest free direct debit payments over the year. For full details see the brochure below or speak to a member of staff. 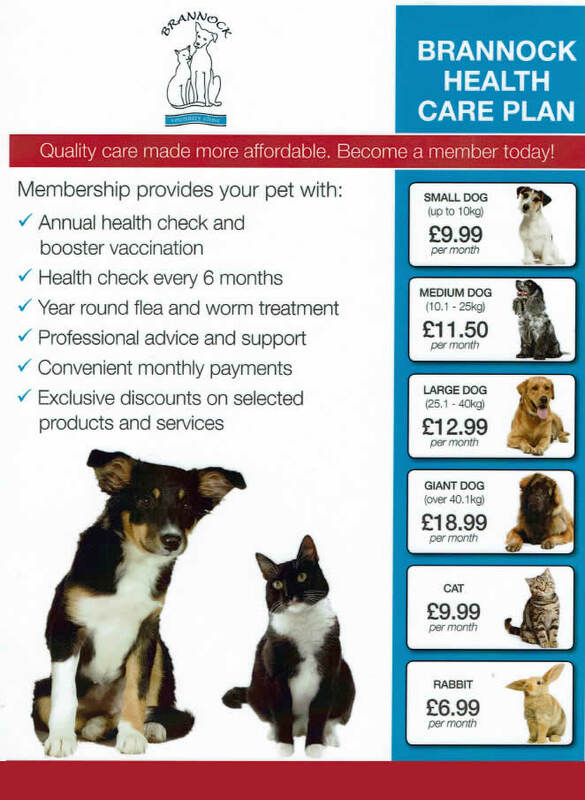 Click below to view leaflet in pdf format of our Healthcare Plan.